Thato Bonokoane, rated at No 2, and Innocent Mantengu, the No 1 contender in the most recent Boxing South Africa ratings, meet in a match-up for the vacant South African Junior Featherweight title at the Kagiso Memorial Hall and Recreation Centre on Saturday afternoon. The title was previously held by Ludumo Lamati who relinquished the title and moved up to the Featherweight class. 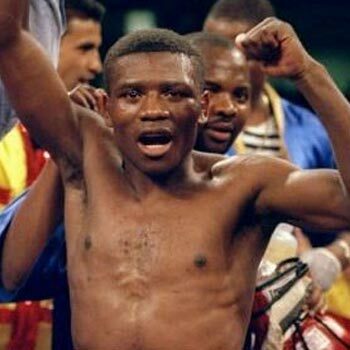 The 28-year-old southpaw Mantengu (12-4; 5) from Mtubatubu, KwaZulu-Natal, has been fighting as a pro since July 2009 and captured the KwaZulu-Natal Junior Bantamweight and IBF Continental Africa Junior Featherweight titles. The four losses in his career have come against Thami Mntambo (pts 4) on his debut, Toto Helebe (pts 6), Thabo Sishwane (pts 6) and Lodumo Lamati (pts 10). Helebe and Lamati are former South African champions. Bonokoane (9-1-2; 6) from Gauteng has been fighting as a pro for nearly six years and his only loss came against the talented Lerato Dlamini on points over six rounds in June 2016. The fighters are evenly matched and the result could go on points either way. The records are taken from Boxrec. Brandon Thysse and Linda Ntshingila meet over ten rounds in a clash for the vacant Gauteng Junior Middleweight title. The tournament is presented by Dida Boxing Promotions in conjunction with Vision View Production. It has been reported that South African Junior Lightweight champion Phila Mpontshana will defend his title against Koos Sibiya in Port Elizabeth on Sunday, April 7, on the undercard of the fight between Azinga Fuzile and Romulu Koasicha for the IBF Intercontinental Junior Lightweight title.